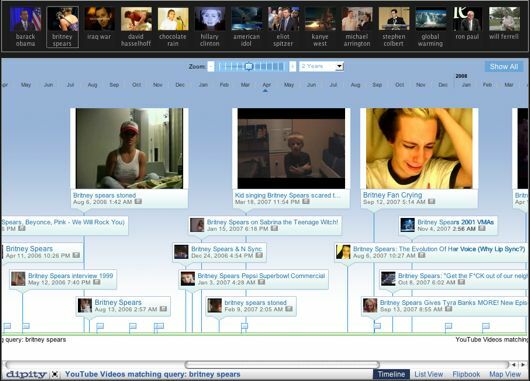 TimeTube is a mashup that puts YouTube videos on an interactive timeline. Search for any phrase, and TimeTube presents the results on a timeline. You can scale the timeline to show more time or more detail. Timetube also lets you view the results as a list, in Flip Book mode or on a map.